If you have been following the ERP space closely, it is tough to miss out on the increasing level of interest that NetSuite, one of the leading cloud ERP providers in the world, has been showing on the ecommerce market. It started with an announcement made on the sidelines of the company’s annual SuiteWorld conference last month. Stripping out the PR jargon, this is what the B2B Customer Center does – it provides B2B merchants a smooth online buying experience that is extremely similar to what is already available in the B2C world. In addition to this, the Customer Center also lets the buyers view their order status, transaction history and monitor shipment; all very similar to a regular ecommerce experience one may have seen on Amazon or eBay. More recently, NetSuite made yet another announcement during the course of the Internet Retailer Conference & Exhibition. The company announced a platform that will aid wholesale distributors in fast-tracking their B2B e-commerce deployment. So what exactly is NetSuite up to? 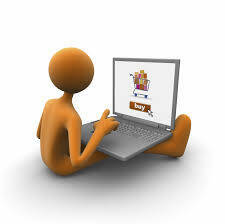 The company already has an established SuiteCommerce platform which is used by around 3500 customers today. Where exactly do these announcements in the overall scheme of things? NetSuite’s bread and butter has been cloud ERP and CRM. The range of features on NetSuite is targeted at all major industries including finance, software, media, manufacturing, etc. Given that nearly 47% of enterprises are expected to migrate to cloud ERP within the next five years, we are on the threshold of a major disruption in the market. As one of the pioneers of cloud ERP, NetSuite could make windfall gains through the next decade. From the outset, it might seem like NetSuite is getting its fingers into more than one pie. Their ecommerce strategy could simply be a distraction to the larger goal of providing cloud ERP to the thousands of enterprises that should be migrating to it soon. But delve deeper, and one might be able to connect the dots. ERP and CRM are applications that cannot exist in isolation. Businesses make use of ERP/CRM to monitor their inventory, track sales, handle shipment queries, customer support, etc. A lot of this data has to come from third parties like the supplier, distributor, fulfillment center and the end-customer. Traditionally, all of this data comes either through communication channels like email or phone calls which is then manually updated into the system. More recently, these things are automated so that a supplier updating data on their system shall automatically update inventory status on your ERP dashboard. As a matter of fact, new technologies with wearable tech will even make manual entries redundant. In such an environment, one thing that will hinder a complete automation of the entire supply chain is the defragmentation among ERP providers. Another major roadblock would be the missing link – suppliers or distributors who do not have ERP for their system and are consequently out of loop with the rest of the supply chain. NetSuite’s offering is expected to address these two points exactly. By building a ‘B2C-like’ eCommerce platform that the suppliers and distributors could use, NetSuite could bring the entire supply chain under its system. Not only would this help in automating the ERP management of the clients better, it would also help NetSuite consolidate its position among cloud ERP providers better. A NetSuite customer would prefer to deal with a supplier who has SuiteCommerce in order to ensure better automation. This would in turn incentivize the distributors and suppliers to deploy SuiteCommerce which will further the ecosystem towards NetSuite adoption. NetSuite appears to be playing its cards perfectly well. It will be interesting to see how all of this actually play out with competitors coming up with their own applications to solve the problems with ERP automation. What do you think?